Amanda Seyfried Is Now A Mom! Just two weeks after she eloped with her husband, Thomas Sadoski. 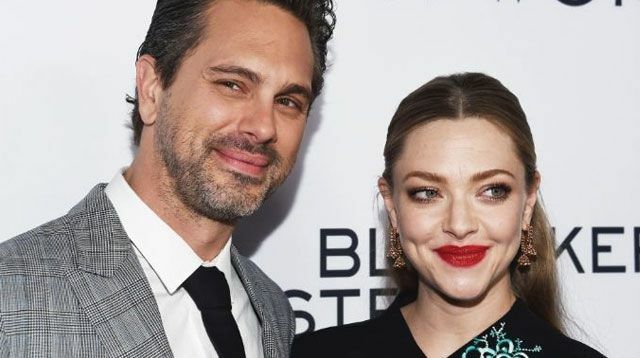 Please send congratulatory emails (you know, if you happen to have her email address) to Amanda Seyfried—she's just welcomed her first baby. Just two weeks after Amanda eloped with her now-husband Thomas Sadoski, they've announced the arrival of their first child, a baby girl. No confirmation yet on the name, but we're sure it's something cool. Amanda's not a regular mom. She's a cool mom. If you haven't been keeping up to date on Amanda's relationships, here's a quick overview of what's been going on with Amanda and her husband Thomas, the actor best known for playing Matt in Life in Pieces. Amanda and Thomas first met when they were working together on the off-Broadway show The Way We Get By in 2015, but didn't start properly dating until 2016, after reuniting on the set of their film The Last Word. So they're a classic ~*working-together-and-falling-in-love-in-the-process*~ story. They've been fairly private about the whole thing, only confirming they tied the knot in a secret ceremony after Amanda was spotted wearing a wedding ring. A rep confirmed the arrival of the couple's first baby to People, and have not yet flooded their Instagrams with photos of their little family.